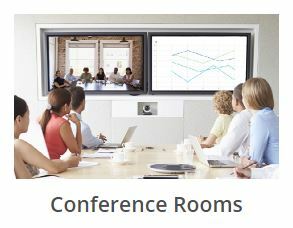 Zoom Rooms are a software-based video, audio and wireless content sharing solution for the conference room. Simply connect your iPad or Android tablet with your PC or Mac device, monitor, USB camera, and speakerphone. Install the Zoom Rooms application and one tap starts a meeting. Use off-the-shelf hardware with cloud-based Zoom Rooms software for a fraction of the cost of traditional video conferencing systems. 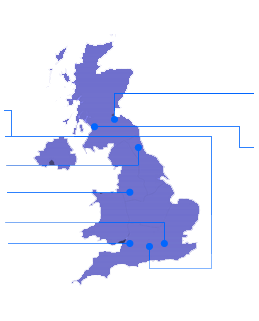 Get in touch with us today to find out more about Zoom Rooms for your organisation. Zoom Rooms provides support for up to 3 screens, with split view, gallery or active speaker options. You can record your meetings at the click of a button, and with multi-layer security, administrator dashboards for usage and ROI metrics, and remote management by room location, your organisation gets all your users and administrators need for high quality professional Video, Audio and Data Collaboration. Zoom Rooms provide HD Video and Audio, to enable professional quality video, audio and web conferencing in any sized conferencing room. With wireless sharing, interoperability with any H.323/SIP system and simple “one touch to start” meetings, Zoom Rooms have been designed to make Video Conferencing in the boardroom simple. Zoom Rooms can be controlled with an iPad or Android as a control panel, supporting BYOD for your organisation in your boardrooms and conferencing spaces. With a PTZ camera or Video Conferencing camera suitable for your particular room, combined with a PC based device for licencing, and a collaborative touch screen for screen sharing and whiteboarding, you can kit out your meeting space with VideoCentric and Zoom for excellent collaboration between teams and remote locations, at a fraction of the cost of other meeting room solutions. Zoom Rooms are the perfect solution for the training room, to include remote employees in staff training. With wireless screen sharing for presentations and cloud recordings for those who can’t attend the live meeting alongside high definition video, audio and wireless data sharing, Zoom Rooms provides everything needed to share information and training for new staff and continual staff improvement. Want to Know More? Try out Zoom Rooms? Get in touch with VideoCentric today, Zoom’s UK partner, to discuss Zoom Rooms pricing, and how Zoom Rooms can assist with your collaboration challenges in the meeting room and training room.